How fabulous is this birthday card?! With the bright orange and pink fireworks, this is a great choice for any gal in your life celebrating her special day. 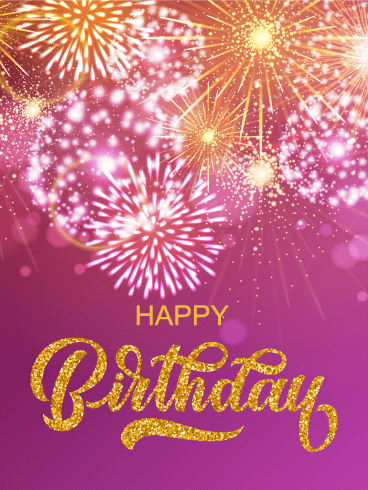 The card is eye-catching enough that it feels special, but simple enough that you can customize it for anyone in your life celebrating a birthday. Also, you can never go wrong with glitter! 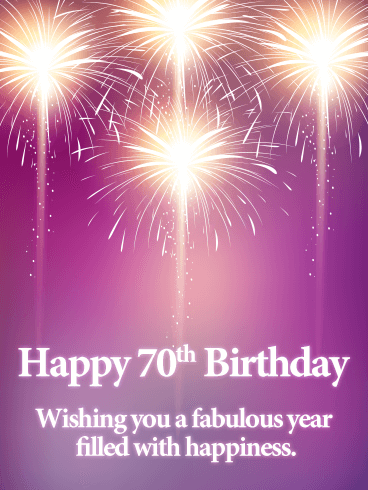 The bright lights on this birthday card are the perfect way to start off a 70th birthday celebration. Whether you're looking for a card for your parent, sibling, friend, or relative, this is a great choice for anyone. The purple and yellow coloration adds a unique element, and the sweet sentiment is a great way to let the person know how much you care about them. Birthdays only come one time a year, so make this a birthday to remember! 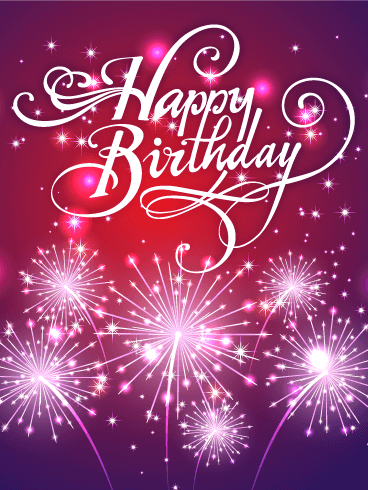 This Elegant Birthday Fireworks card has a background made of pinks and creams. Bright, sparkling fireworks burst across the top and center of the card. 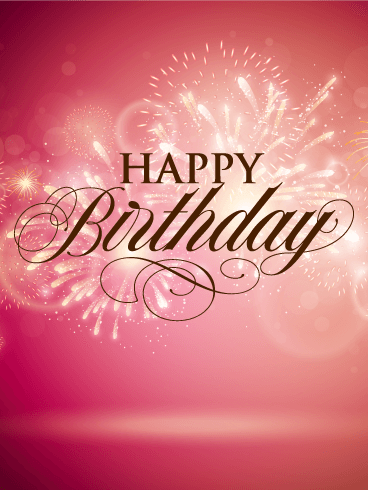 In front of the fireworks, "Happy Birthday" is written an elegant, cursive script. Send this card to the elegant ladies in your life!